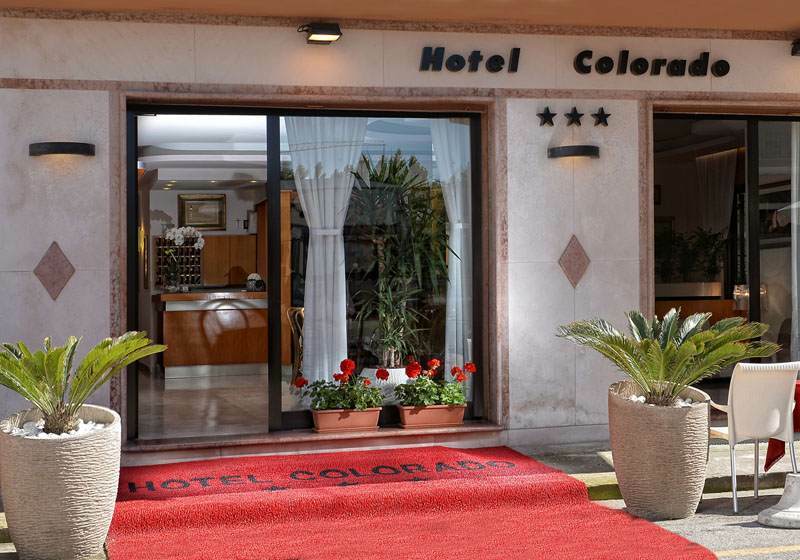 The Colorado Hotel is welcoming and equipped with all modern comforts, located just 50 metres from the beach, discreet and equipped with beach umbrellas, sun beds and deck chairs. 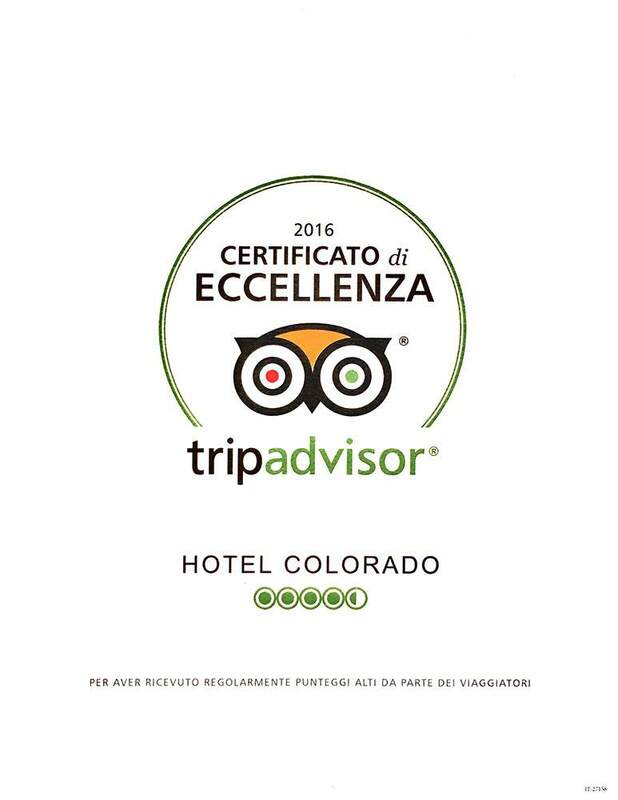 The friendliness, hospitality and the attention to details of its staff make the Hotel Colorado the favourite destination for those seeking a family hotel in Sottomarina, for its pleasant atmosphere, which immediately puts guests at ease. 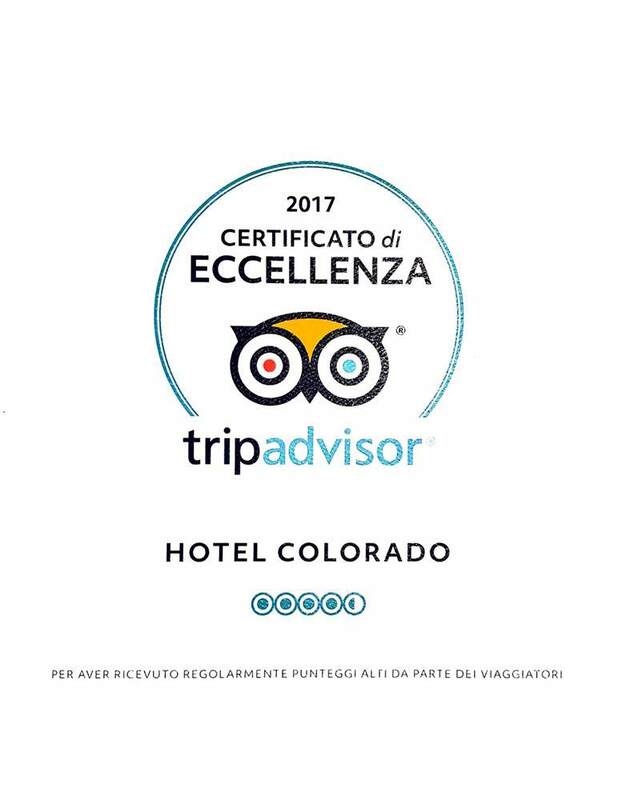 The rooms of the Hotel Colorado, recently renovated, are simple and functional and offer free wi-fi in all areas, satellite TV and a dining room serving breakfast and the best local and international cuisine. The hotel’s multilingual staff can arrange visits to Venice for their guests or excursions to the many attractions in the area. At the reception you can rent free bicycles to discover the many paths to cycling around the area. The hotel has a convenient free parking lot for those travelling by car. Renowned for its healthy, iodine rich air, the beach is private and fully equipped with beach umbrellas, deck-chairs, sun loungers and a snack bar. It offers adults and children plenty of relaxation and fun. The entertainment service (games, dances, aqua gym, group gymnastics) and the many water activities and sports (beach volleyball and bocce) make every day fun and active. The coast of Sottomarina is famous for its fine sand, that is rich in minerals that helps you get a unique tan. In addition, the gentle slope of the seabed makes it safe for children and puts their parents at ease. Every week the Colorado staff organizes cabaret evenings and dancing evenings with live music. A moment of pure fun that turns on enthusiasm and creates new friendships, like the spaghetti dinners prepared by Griguolo family. We reserve a unique and personal attention to our young guests, with special meals (from the weaning stage onwards) prepared accordingly by our cook with all the care of a loving mother. The Mini Club organized on the beach includes baby dances, face painting and games to keep your children entertained and introduce them to new friends. No need to leave your pets at home! At Hotel Colorado they are welcome, stay for free and always have a bowl for water ready for them. 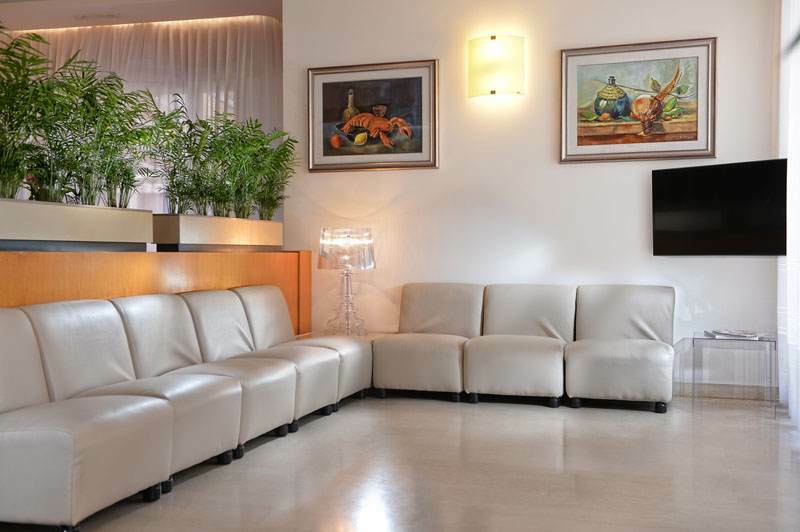 The rooms for guests traveling with dogs or small pets are subject to a thorough cleaning to ensure maximum hygiene.